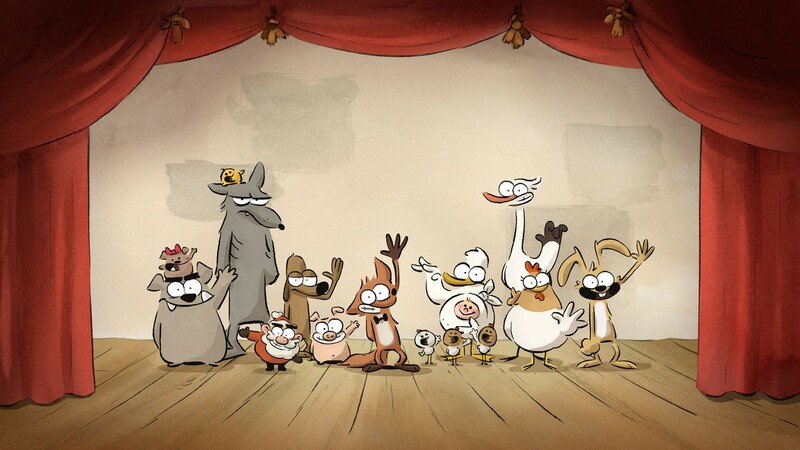 The French animated feature Big Bad Fox, which screens at the Spokane International Film Festival on Feb. 2. The Spokane International Film Festival has announced its upcoming lineup of features and shorts, and it includes a diverse collection of narrative and nonfiction movies from around the globe. SpIFF kicks off Feb. 1 with its annual Best of the Northwest program, which showcases shorts from regional filmmakers. The fest offers several packages of both live action and animated shorts. Amongst the festival's narrative features are Rosalie, a French-Canadian comedy about a woman recovering from a bad breakup; the Belgian emotional thriller You Go to My Head; the animated anthology feature Big Bad Fox, by the filmmakers behind the Oscar-nominated Ernest and Celestine; and Shadow, the latest from Chinese auteur Zhang Yimou (Hero, House of Flying Daggers). The documentary docket includes Enormous: The Gorge Story, about how George, Washington, became an unlikely musical oasis; and Time for Ihlan, which follows Ilhan Omar's journey to the House of Representatives in Minnesota. Full festival passes are $115 (you can buy them here), while tickets for individual screenings run $10 or $12. You can see the full schedule here.